What to do with left over rice? My Fried Wild Rice with Mint and Lentil Sprouts is not only super healthy but is the solution for using left over cooked rices,combining with organic vegetables and spices and reinventing a rice dish that is a perfect accompaniment to grilled fish or chicken! My Fried Wild Rice with Mint and Lentil Sprouts is a simple combination of delicious and healthful foods, a remake of a grain dish and enhanced with healthy lentil sprouts to make a perfect protein! 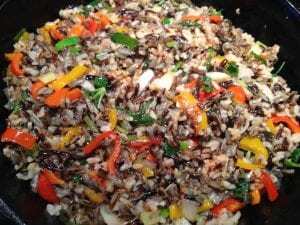 Enjoy my Fried Wild Rice with Mint and Lentil Sprouts as a stand alone vegan meal or as a side to fish or chicken! Healthy food can also be very very delicious!! This rice dish can be made with or without the added lentil sprouts, however the sprouts complete the protein to make a meal that needs no meat! 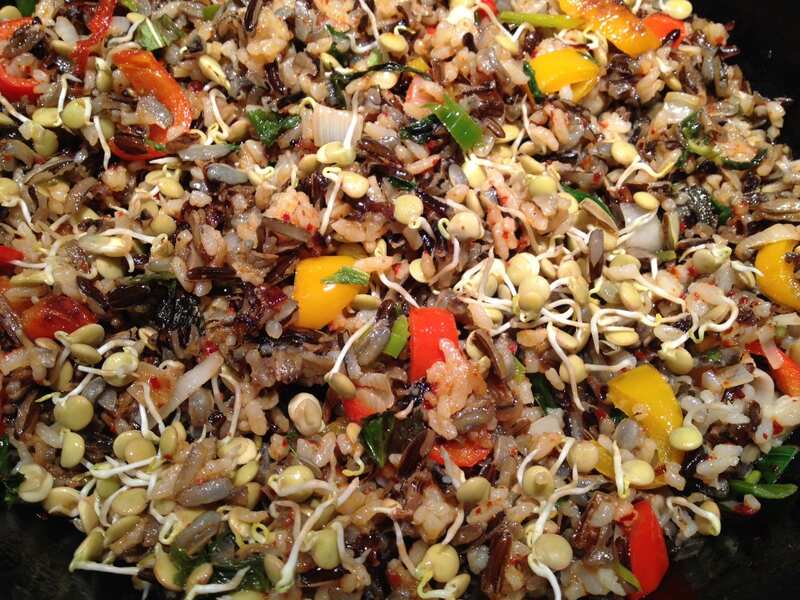 Fried Wild Rice with Mint and Lentil Sprouts is a vegan protein that is complete!! Purchase my cookbook http://simplynaturalgourmet.com/buy and enjoy many more simply natural gourmet recipes that focus on health, flavor and nutrition! !